The duo planned their exit in November 2017 when two senior employees, who were directly authorised to issue LoUs, left the country, and the new staffers raised alarm over the manner in which the earlier LoUs were issued. As the inquiry into the biggest bank scam in India widens, more shady details continue to come out. The fear of being caught had apparently caught hold of diamond merchant Nirav Modi and his maternal uncle and partner, Mehul Choksi, in November 2017. This was when new staff members joined the PNB's Brady House branch, and raised objections over the issuance of Letters of Undertakings (LoU) and Letters of Credit (LoC) to the duo's firms. It was probably the first time when Modi and Choksi might have realised they could be caught, and thought of getting out of the country. The duo planned their exit in November 2017 when two senior employees, who were directly authorised to issue LoUs, left the country, and the new staffers raised alarm over the manner in which the earlier LoUs were issued, The Indian Express quoted sources as saying. The report says two officials who left the bank in November are believed to be in Dubai. The retirement of the prime co-conspirator, then deputy manager of the PNB branch, Gokulnath Shetty, on January 1 might have sounded alarm bells for Nirav Modi as he and his family, including his brother Nishal and wife Ami, fled to the US, while Mehul Choksi also flew out of the country, in the same week. After almost 15 days of probe, the agencies have already 'crippled' the duo's empire here in India by freezing assets and bank accounts. The CBI has written to Axis Bank, Allahabad Bank, State Bank of India, UCO Bank and Union Bank of India to share details about the buyer's credit raised by their branches in foreign countries, while the ED is planning to send judicial requests to over a dozen countries for obtaining information about the overseas businesses and assets of diamantaires. Once the CBI receives the information from these banks, it will send a formal request of Letters Rogatory - a request through a foreign court to obtain evidence from a specified person within the jurisdiction of that court - to over a dozen countries for information about the duo's overseas businesses. PTI reported the ED will also approach a competent court in Mumbai with a request to obtain LRs to be sent to about 15-17 countries, including Belgium, Hong Kong, Switzerland, the US, the UK, Dubai, Singapore and South Africa, where the agencies have traced the footsteps of the duo's business. Some officials may soon visit these countries to gather details of the overseas financial holdings of Modi and Choksi, who are accused in the Rs 11,400 crore PNB loan fraud case. The details regarding their foreign bank accounts and properties could help the agencies understand how much money was flushed out by their companies taking advantage of the Indian banks. These assets will be investigated and if necessary would be attached under the criminal sections of the Prevention of Money Laundering Act (PMLA), reported PTI. Meanwhile, the investigation agencies have issued a lookout circular against 10 executives of the companies of Nirav Modi and Mehul Choksi. 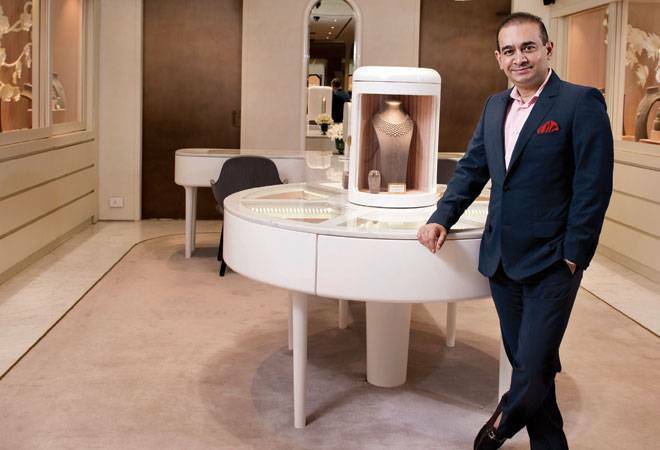 Nirav Modi, his wife Ami, and Mehul Choksi have been summoned by the Enforcement Directorate (ED) to appear at its zonal office in Mumbai on Tuesday. If they skip the summons, the agency may approach a special PMLA court to get non-bailable warrants against them. As per the information, total 16 banks have been asked by the ED to give details of all the loans offered to Nirav Modi and Mehul Choksi, nature of the loans, and collateral offered against these loans. According to some estimates, total losses of these public sector banks could well swell up to over Rs 20,000 crore if the ED finds out 'bending of norms' in their cases too. As of now, the ED has seized assets worth over Rs 6,393 crore in the case, officials said. To remind you, Nirav Modi, Mehul Choksi and others are being investigated by the ED and other probe agencies after the Rs 11,400-crore fraud came to light at the PNB's Mumbai branch on February 13. Ever since the PNB scam has unfolded, the investigation agencies have begun its crackdown on the properties of Nirav Modi and his uncle Mehul Choksi, but have been clueless about their whereabouts. The fraud revelation that started from Rs 280 crore has reached over Rs 11,400 crore and could reach over Rs 20,000 crore as the agency officials warn of many more skeletons in the closet. PNB fraud: Time to privatise public sector banks?